Skype for Business is being replaced by Microsoft Teams. Please refer to our documentation on Microsoft Teams. We are in the process of migrating users to Microsoft Teams. 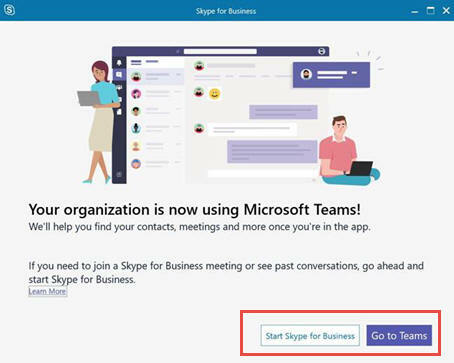 A user who has been changed to TeamsOnly to use Microsoft Teams will still be able to join exisitng Skype for Business meetings that have been organized by non-upgraded or external users. An upgraded user can continue to communicate with other users in the organization who are still using Skype for Business by using interoperability capabilities between Teams and Skye for Business; however; an upgraded user can't initiate a Skype for Business chat, call or meeting. They will have to use Micrsoft Teams for that. Your presence (or availability status) will come from Microsoft Teams. Microsoft has provided more information on the transition from Skype for Business to Teams.